Definition: Liquidation value (LV) is the total worth of a company’s tangible assets (physical assets) when it goes out of business. 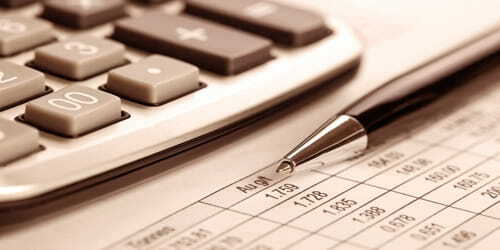 All tangible assets – fixed as well as current – are considered while calculating the liquidation value of the company. However, intangible assets such as goodwill are not included in the same. 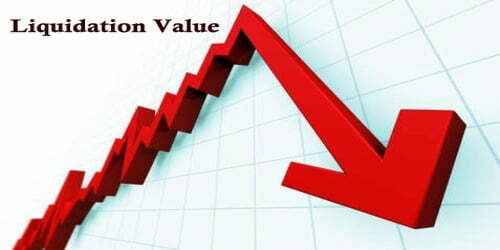 It is usually lower than book value but greater than salvage value. The assets continue to have value but, due to a limited time frame, must be sold at a loss to book value. Unlike cash or securities, certain illiquid assets, like real estate, often require a period of several months in order to obtain their fair market value in a sale, and will generally sell for a significantly lower price if a sale is forced to occur in a shorter time period. There are generally four levels of valuation for business assets: market value, book value, liquidation value, and salvage value. Each level of value provides a way for accountants and analysts to classify the aggregate value of assets. Liquidation value is especially important for those that work with bankruptcies and workouts. Many investors, in the business of making money, want to know everything about a company, be it potential earnings or expected liquidation value. The liquidation value is generally used for the purpose of bankruptcies. Besides, lenders who are considering the application of a borrower also use liquidation value. In addition, bondholders are also interested in knowing the liquidation value as they are also considered as debtors to the company. Liquidation is the difference between some value of tangible assets and liabilities. As an example, assume liabilities for company A are $550,000. Also, assume the book value of assets found on the balance sheet is $1 million, the salvage value is $50,000, and the estimated value of selling all assets at auction is $750,000, or 75 cents on the dollar. The liquidation value is calculated by subtracting liabilities from the auction value, which is $750,000 minus $550,000, or $200,000. Calculating the Liquidation Value: Liquidation value is estimated through assets like fixtures, real estate, equipment, and inventory owned by a company. Intangible assets (like goodwill, business’ intellectual property, and brand recognition) are, however, not counted in the liquidation value of a company. Get a copy of the latest annual report. This report can be requested by contacting the Investor Relations department of the company. Besides, it can also be downloaded directly from the website of the company. Find the line item assets and liabilities where assets refer to the complete range of assets owned by a company and liabilities represent the debt taken on by the company to purchase these assets. Determine the expected liquidation value. This is done by subtracting the company’s liabilities from its assets. The net amount derived from the amount will be the liquidation value of the company which will be available to the shareholders. There is a possibility (especially in the case of bankrupt companies) that the liquidation value may be negative which means that the company does not have enough assets to repay its lenders. In this case, the lenders will be paid on the basis of priority of claims they hold on the assets of the company.